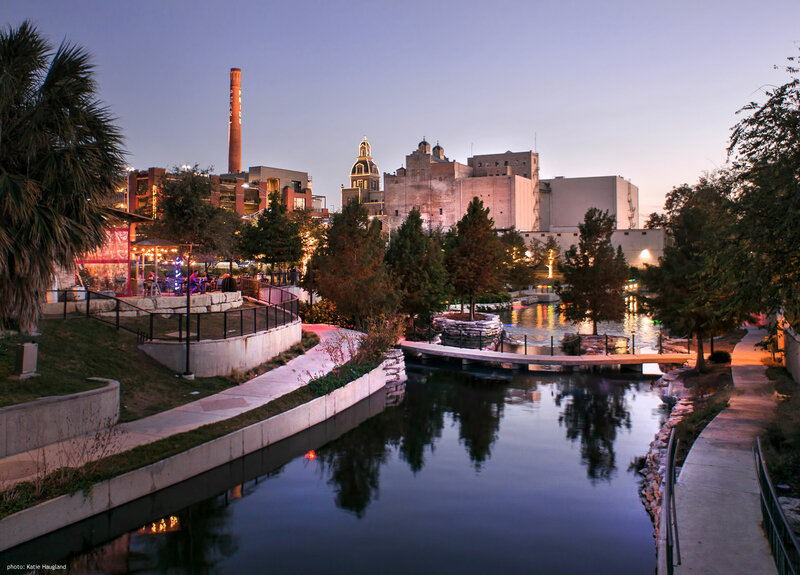 With barge traffic continuing to the Pearl Brewery, the River Foundation helped fund a functional yet beautiful turning basin at the end of the new Museum Reach. With cascading waterfalls and lush landscaping, the basin is a teeming habitat for fish, turtles and birds that are drawn to the marshes and moving water. The wide basin serves as a drop-off point for visitors to the Pearl and a focal point as barges change course.